The R129 Mercedes-Benz SL roadster is destined to be a Pebble Beach concours classic in the future (when we have self-driving flying cars) and might be tempted to get a monster V12 version...but those were always mated to a recalcitrant slushbox...so you should consider a manual gearbox equipped inline-6 version. Find this 1991 Mercedes-Benz 300SL offered for $23,995 in SF Bay Area, CA. Tip from FuelTruck. 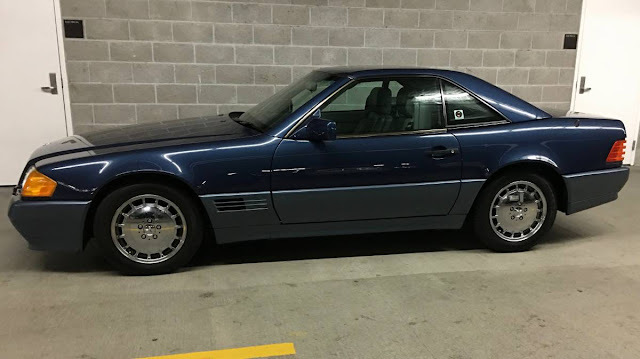 The sad truth is that you can get about 3 to 4 examples of the R129 SL in running/driving condition for the asking price of this particular example, but when looking for one that could be a standout in a few decades, it almost always pays to have the nicest example...and this one is nice. Expect the 3.0 liter M104 inline-6 to produce 228 silky smooth horsepower for years with minimum fuss. The cameo by Vaughn Monroe sold me. This was bought on BaT for $13k in November. What we have here is Flipper (squeaks like a dolphin for emphasis)! Seller is either greedy or savvy -- you decide. Good catch, @SMCSLT. I liked that car at $13K, not so sure I am a fan at $24K, for a 25 year old Benz. 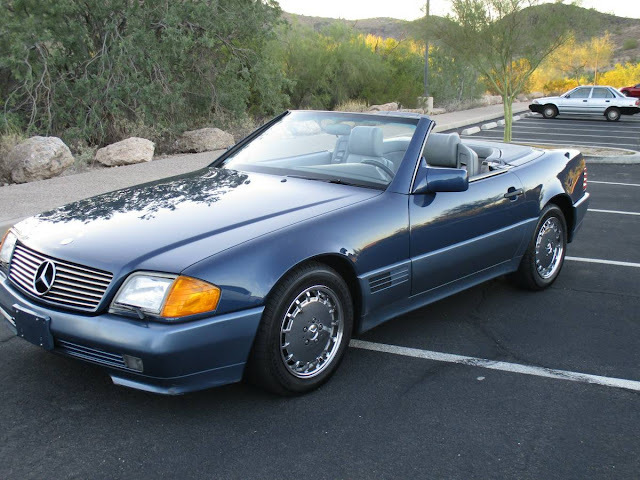 And a very similar 1992 300SL / 5-speed, also in the Bay Area, just sold today on BaT for $17k. I'm agreeing with bobinott. A lot nicer at 13K.